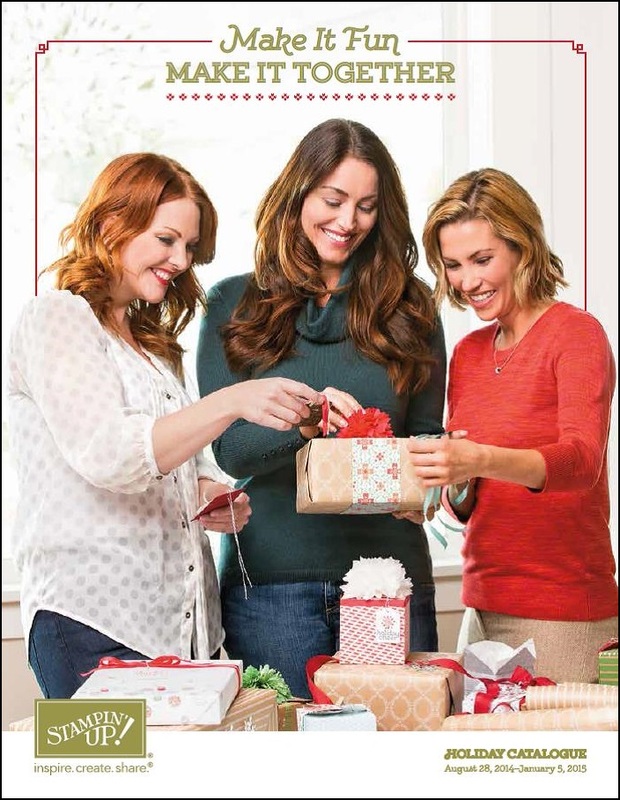 With so many amazing products in the Occasions Catalog, quite honestly, where does one begin? With something quick and easy to get the ball rolling and what could be easier than a punch! On page 13 of the Occasions Catalog is the Bow Builder Punch – it’s absolutely FABULOUS and to show you just how easy it is to use, here’s a video from Stampin’ Up! 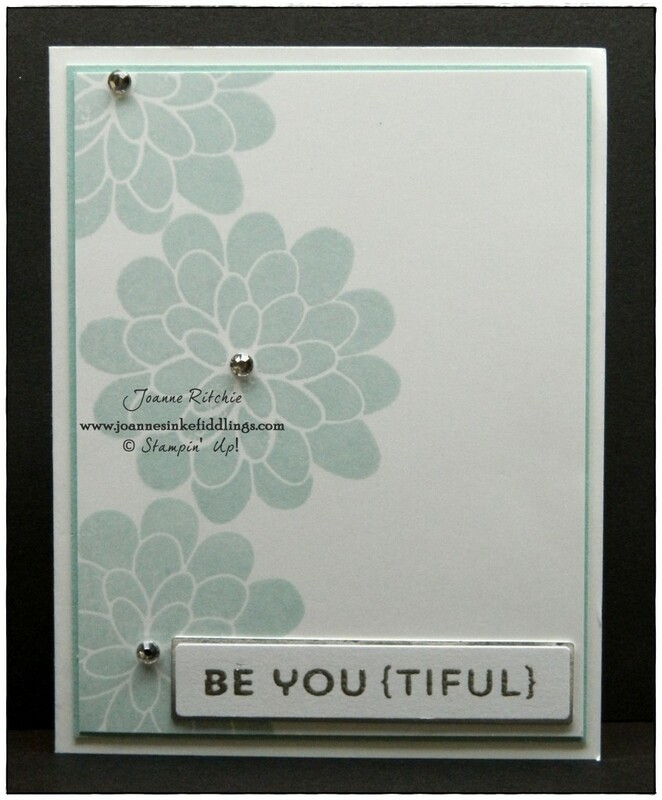 I’m just LOVIN‘ it, and FYI, those beautiful DSP’s on the card above can be yours FREE by simply spending $60 during Sale-a-Bration – how cool is that?! Holiday Catalog is now LIVE!!! 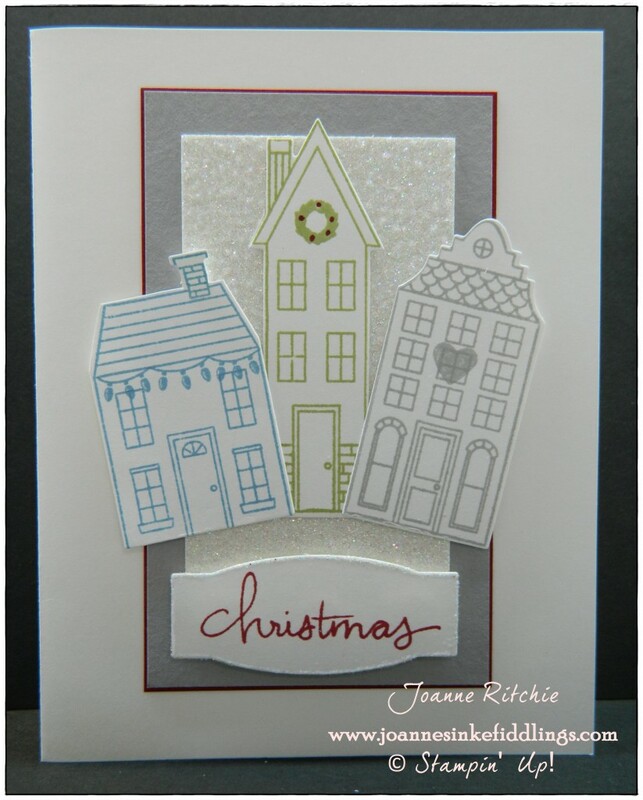 The much-anticipated event has FINALLY arrived – the new Stampin’ Up! Holiday Catalogue is now LIVE!!! Live? you ask. Yes, as of this very moment, orders may now be taken from this wonderful catalogue. The phones are manned, the pen is poised. Ladies and Gentlemen, start your creativity!!! The buttons and punch are on my list for sure! 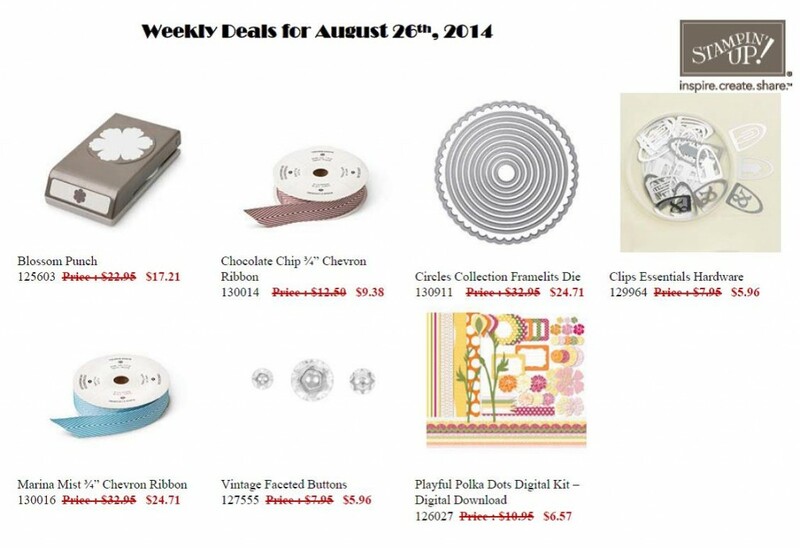 These deals from Stampin’ Up! are valid through until September 1st – where is the year going? 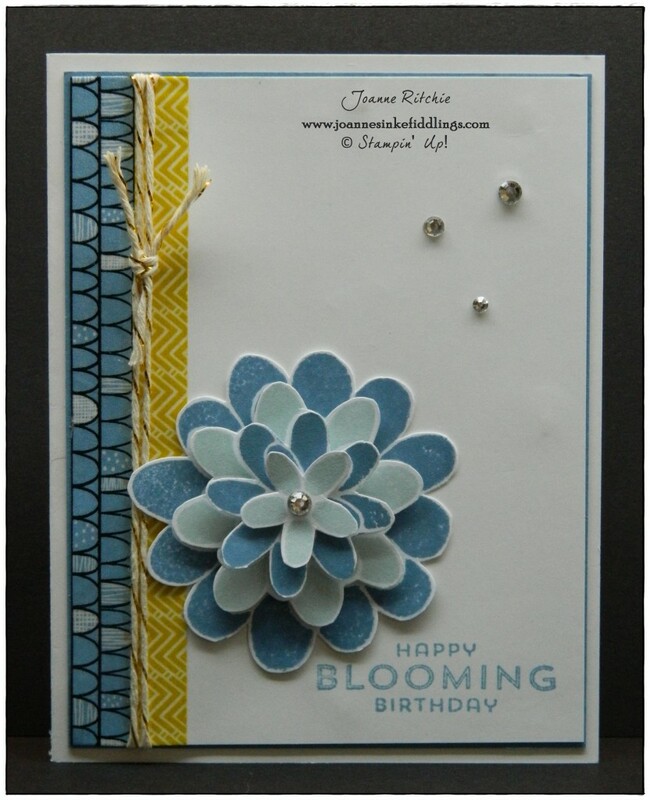 Finally after weeks of sitting on my table, teasing me, I finally put ink to cardstock last night to make a couple of cards with the wonderful new Flower Patch Stamp Set. Why is whenever I think I have a quick and easy card in mind it then takes me hours to complete a single one. This was my first card. Initially the Washi Tape was what tripped me on this card until I remembered something from this coming Thursday. This second card is even more clean-cut but took forever as my ink-pad was just too juicy, leaving “bubble gaps” on my stamped image which I just wasn’t happy with. With the help of a little silver heat-embossing, I’m now MORE than happy with this card!